Were it not for the fact that we started making wreaths in 1976, we would be sure that this elegant Christmas wreath inspired the classic "White Christmas." 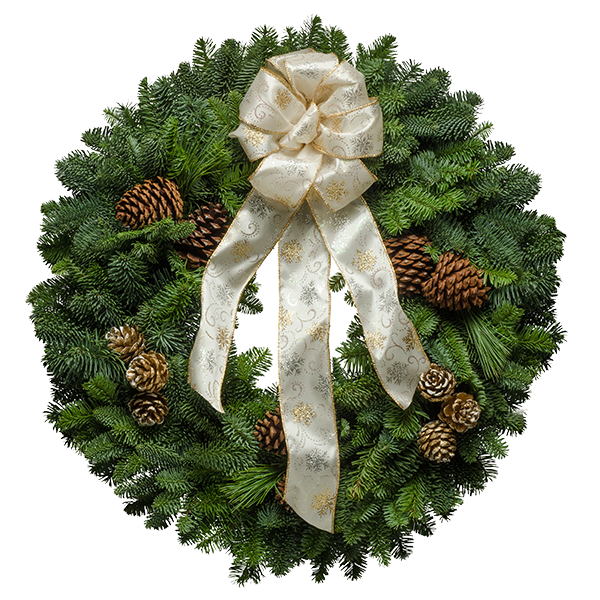 The white and gold colored brocade style bow with a hint of gold on the pine cones creates an old-fashioned looking Christmas wreath that whisks you back in time to Christmases of long ago. Order this wreath for everyone on your gift list. "All of my recipients have received their wreaths and they love them. Thanks for making my holiday shopping easy this year!"